ADT Medical Alert is part of ADT Security Services, a company that went into business 140 years ago as American District Telegraph. The first product was a telegraph box designed to call for help at a time when police departments could not always be quickly summoned. Today, ADT Medical Alert and On-the-Go personal emergency response systems provide seniors with immediate access to help along with home and GPS location monitoring. 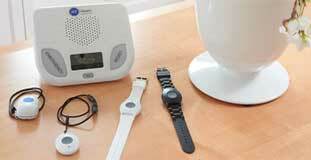 ADT offers three medical alert systems: Basic, Plus and On-the-Go. Systems include features like fall detection, wristbands and pendants and mobile app pairing. Read about our picks for the top medical alert systems by clicking the link below. Trusted security industry magazine SDA estimates that overall, ADT has over 8 million subscribers to its various communications and security systems. Currently based in Boca Raton, Florida, ADT develops and sells monitored home security systems and mobile apps, and ADT Medical Alert personal emergency response systems for seniors. 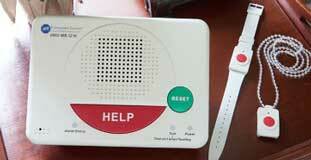 ADT Medical Alert helps seniors stay independent with hardware and a medical emergency response service. Company-owned call centers all located within the U.S.
ADT’s three emergency response systems for seniors are the Medical Alert Basic, Medical Alert Plus and On-The-Go Emergency Response. We’ve described each below and included an at-a-glance feature and price chart. ADT sometimes offers discounts to loyal customers and caregivers after a year of service. All Medical Alert systems allow you to contact highly-trained U.S.-based emergency response operators with one touch of a button. The operator determines whether to get in touch with one of your pre-designated contacts or to call 911 for help. If you press the button and can’t speak, ADT dispatches 911 immediately. If you are looking for a simple base unit in your home with two-way communication and an emergency button, ADT Medical Alert Basic is a reliable option. The base unit for this model runs on your home’s landline and the system includes a waterproof pendant or wristband designed to be worn at all times. If you need help, push the button on the wearable device or base unit to contact ADT’s trained representatives. You can speak to the operator on the base unit but not through the wearable device, and the operator dispatches emergency services if you can’t talk or be heard. The base unit that comes with ADT Medical Alert Basic detects a button pushed on the wearable device up to 300 feet, about the length of a football field. The wall density in your home and other factors may affect this range, so talk to ADT Medical Alert customer service about testing this system. ADT Medical Alert Basic includes temperature monitoring. With this service, ADT notifies family members if the system detects an unsafe high or low temperature in the home from the base unit location. ADT’s Medical Alert Plus system works much like Medical Alert Basic with emergency help from the base unit or wearable devices but uses a cellular network instead of a landline. The price includes cellular service with a 600-foot range from the base to the included waterproof wristband or pendant. This range is equivalent to two football fields and likely covers you out in your yard. Your home must be located in the AT&T network area. 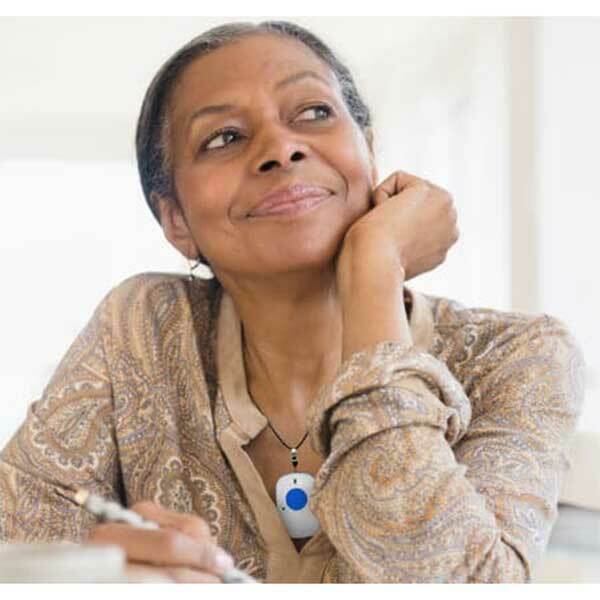 With ADT Medical Alert Plus, you have the option of using a fall detecting pendant to detect falls and automatically notify ADT. While the feature works well, the technology is not yet 100 percent accurate, and ADT recommends pushing the emergency button in case of a fall. ADT’s mobile solution for active seniors who frequently are away from home is the On-The-Go Emergency Response System. 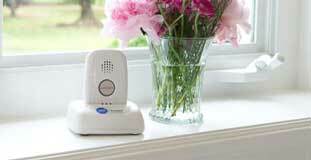 Like ADT Medical Alert Plus, this system uses the AT&T cellular network for communication. The On-The-Go system has no base unit and comes with a mobile device that’s about the size of a cell phone, pendant and charging cradle. The On-The-Go mobile device has an emergency button and two-way communication with a trained ADT operator. To use the emergency button on the pendant, it must always be within 100 feet of the mobile device. Temperature monitoring is not available with the On-The-Go model and it’s not waterproof. The On-The-Go system is the only system that includes GPS tracking. ADT does not charge fees for shipping or activation for their Medical Alert or On-The-Go systems but you pay a monthly service fee. You can cancel at any time. ADT Medical Alert systems are designed to be easily installed and set up on your own, but you can get professional installation for an additional charge. All three ADT systems come with a lifetime warranty for damage, so if you drop or otherwise damage a component, it is replaced free of cost. However, there is no coverage for lost wearables or base units. ADT Security, the parent company of ADT Medical Alert currently holds an A+ rating from the Better Business Bureau with no complaints listed about the medical alert systems. 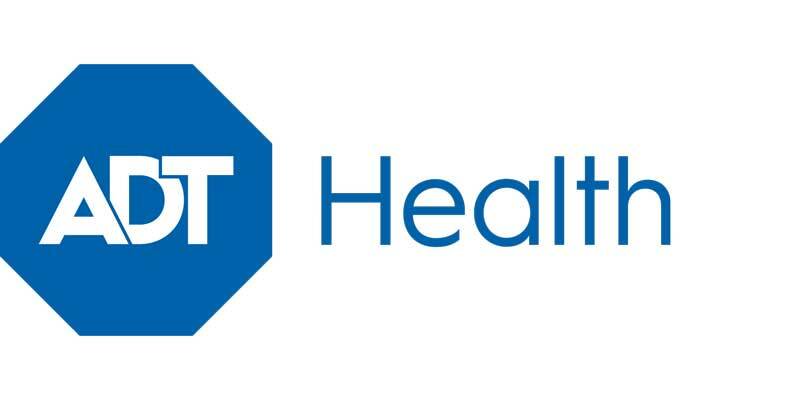 ADT Medical Alert gets overall high scores from customers, but with mixed reviews. ConsumerAffairs and ConsumerAdvocate each give a 4.5 out of 5 rating with complaints revolving around activation issues. ADT responded and resolved problems. Can I use my ADT Medical Alert System if I travel? Yes, you can use the ADT Medical Alert systems if you are away from your home. While ADT recommends their On-The-Go Emergency Response System for short-term travel, you can take either of the two medical alert systems with a base unit with you when you stay in a friend’s or relative’s home or a hotel. Unless you are an On-The-Go customer, you need to call the ADT alert center from your house before you leave so that emergency help is dispatched to the correct location while you travel. How reliable is ADT Medical Alert fall detection? Fall detection is a last line of defense in case you become unconscious after falling. Fall detection technology is not yet entirely accurate, so if you fall and can push the emergency button, you need to do so. Does Medicare pay for ADT Medical Alert Systems? In general, Medicare Part B does not pay for medical alert systems. However, Medicare rules vary from state to state so check with your plan to determine if your state is one of the few that pay for a medical alert system in some cases. Some Medicare Advantage plans cover medical alert systems, so ask about coverage if you have this insurance. Do I have to sign a contract with AT&T for the wireless ADT systems to work? No contract with AT&T is required. While the ADT Medical Alert Plus and On-The-Go Emergency Response System use AT&T cellular network for communication, your ADT service includes the cell service. What if I lose power in my home? The ADT Medical Alert Basic, Medical Alert Plus and On-The-Go come with a 12- to 20-hour backup battery in the base or charging cradle. If you lose power for longer, the base unit sends a signal to ADT to let an emergency response operator know that your system will soon be unable to communicate and the operator will attempt to call you to check on you. ADT Medical Alert offers options for personal safety systems that are easy to choose from, and the portable nature of all three systems is a plus. The lifetime warranty removes concern of an additional expense if the system is damaged or stops working, and ADT’s operators are highly trained to evaluate emergency situations to determine if a 911 call or contacting a friend or relative is the best solution. Medical Alert and On-The-Go systems give seniors and their family members peace of mind while allowing for independent living. I live in a secure apartment complex and don't need a security system. I have never received a copy of the contract. I have been told that one was emailed; I didn't receive one. Some important details were overlooked. How do I know. My banker called and was told by the salesman. Snail mail is more reliable. I never received an instruction book. It's nice to have the instructions written down. We seniors do forget. I never re- received an instruction book. It's nice to have the instructions written down. We seniors do forget. Certain elements of the contract were not explained. Maybe that's because the representative was in too big a hurry to make sale. They descended on our apartment complex and hurried back and forth. The management does not allow soliciting in this complex but the manager was not here to warn them. Seniors deserve better treatment.